AUBG is looking for the best and brightest. Our admissions procedures are designed to help us select from a qualified pool of students. The following information will assist you in preparing your application documents. The application process for readmission is relatively simple, but it is important to follow the instruction on the Readmission Form carefully and to submit all required documents by the deadline with the completed form. A decision regarding readmission is based on an evaluation of the information provided by the Admissions Committee and the Academic Dean. All applications for readmission must include a non-refundable $25 application fee. Please print the template for Readmission Form. Must be printed, filled and mailed back to us. In one or two pages, please describe what you have been doing since you were last enrolled at AUBG and why you believe this is the appropriate time for your return. If you left AUBG because you were academically suspended, please be sure to include information about any steps you have taken that will insure an improved academic performance when you return. You may attach any supporting documentation to strengthen your case, including letters of recommendation. Must be printed and mailed. Submit two letters of recommendation from teachers, professors, guidance counselors and/or academic advisors familiar with your academic performance and potential for leadership. The letters can be written in English, Bulgarian or Russian. You can print a template for your letters of recommendation. First year applicants must have achieved a minimum 3.0 grade point average based on a 4.0 system, or the equivalent, evident from their high school diploma or high school leaving certificate. For applicants who have not graduated from high school yet, the Cumulative GPA should be calculated on their high school transcript. Bulgarian high school diplomas are considered as true copies if certified by a notary and officially translated in English. Non-Bulgarian diplomas are considered true copies if certified by an Apostille. Information about the Hague Convention on legalization of foreign public documents is available at: www.hcch.net. Applicants who do not hold a high school diploma at the time of applying must present an official high school transcript or record for the last three years of secondary school study. Transcripts are considered official if they bear an official high school stamp and the signature of the high school principal. Academic transcripts should include the school’s contact information. Records must list the subjects taken, grades earned or examination results in each subject and certificates or diplomas with a calculated annual grade point average (GPA). If the documents are not in English, they must have a certified English translation accompanying them. Copies must be signed, sealed, translated by a sworn translator, notarized and mailed. In order to be considered for need-based financial aid and need-based scholarships you must submit an application for financial assistance along with the necessary supporting documents. You and your parents should read all instructions carefully and be as thorough as possible. Detailed instructions are available in English, Bulgarian, Albanian, Georgian, Mongolian, Romanian, Russian and Ukrainian. Supporting documents must be signed, sealed, translated by a sworn translator and mailed to our postal address below. Copies must also be notary verified. Contact us, if you have any questions concerning your application. 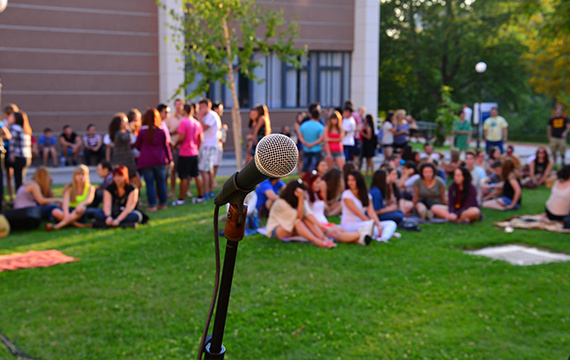 The American University in Bulgaria follows a rolling admission notification plan and the Admissions Committee notifies students in a timely fashion. Since the Admissions Committee’s decision is considered confidential, an official letter is sent to the student at the mailing address stated in the application form, within four weeks after all required documents are received at the AUBG Admissions Office.